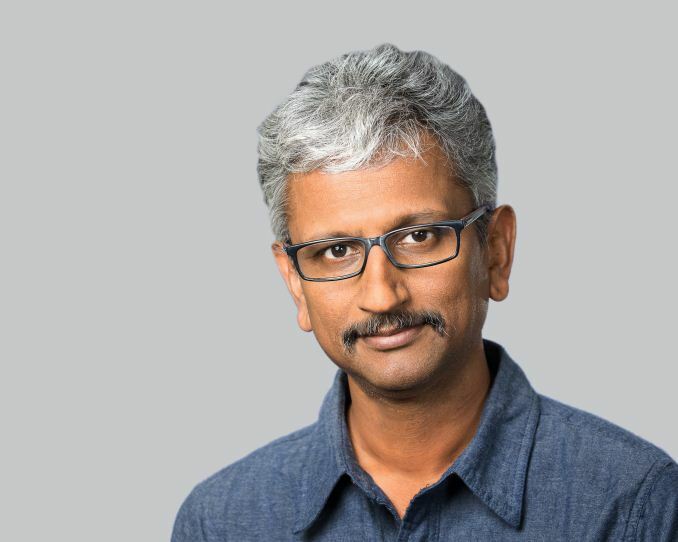 Late last night, PC Perspective confirmed rumors that Raja Koduri, AMD's Radeon Technologies Group (RTG) Senior Vice President and Chief Architect, is to go on sabbatical. Sourcing Raja’s internal letter to the RTG team, he will be taking leave from September 25 until an unspecified date in December, to spend time with his family. Dr Lisa Su, AMD's CEO, will lead RTG in the interim. Since his return to AMD in 2013 and the reformation of a monolithic graphics division with RTG in 2015, Raja has overseen and led all aspects of AMD graphics hardware and software. Raja’s public presence and involvement render him the face of graphics at AMD, in all senses of the word, from Capsaicin events to Twitter and Reddit. Following Vega’s launch, Raja had taken two weeks vacation to visit family, following visits to company sites in India. Given the news in his letter, we hope all is well. Because it costs AMD exactly as much to make as the Vega 64, only they get so much less profit from it? Don't expect to see any manufactured until the cryptomining boom cools off enough that they have to put the "graphics" back in GPU. That's not how chip manufacturing works. The Vega 56 product exists because not everyone can afford the 64, and because the 56 product can absorb Vega dies that either have a few defective compute units, or which wouldn't meet energy/thermal specs if all 64 NCUs were enabled. It can also absorb lower-binned HBM production, which are available at a lower cost. You're correct that its a lower per-unit profit, but all of these cards have really healthy margins if you only account for the material manufacturing costs -- most of the investment is in R&D of the architecture and other major expenses include validation of the silicon, neither of those costs increase as a result of Vega 56, yet Vega 56 increases revenue and and market-share. The only risk posed is that a lower-tier product can cannibalize higher-tier product sales, but that's only true if you're not selling as many of the high-tier product as you can manufacture; in normal markets that tends not to be true until later in the product's lifecycle, but its certainly not true now with the crypto boom going on and won't be true for the entire lifecycle of Vega if the trend holds. I do wish power consumption were better under control with Vega, and people who under-volt have been able to get much lower power consumption without giving up much performance. I also wish Vega had come out sooner, and its a big headline to say "AMD's best and latest only competes with nVidia's year-old GPU", but we also have to remember that this means we're comparing a brand-new product with brand-new drivers that no one's had much time to understand and optimize for, to a product from nVidia where all of those things have had a year to mature. I think over the next year Vega is going to look better and better, whereas Pascal doesn't have much room left to grow. Kinda this. That being said RX 480 when it was launched was a valid buy for mid-tier gaming purposes, assuming you could get it for MSRP. Even better if you got one of the few reference style RX 480s that were advertised as being 4GB but could be unlocked to 8GB with flashing. Yeah, I’m pretty sure money made with miners is worth less than money made with gamers, so it’s really a bad, bad flop all around. If people stop buying AMD’s new GPUs all of a sudden then, yeah, Raja would be in trouble. As long as they sell well he won’t be — AMD doesn’t make products to please the ah-so-important gamers, AMD makes products to sell to whomever is willing to buy them, and the higher the margins, the happier AMD (and their business partners) will be. I don't understand the logic here Money is Money.